Of the many questions you may ask yourself when considering additions to your garden, one of the first should be "What planting zone do I live in?" Gardening zones are among the most reliable indicators of whether a plant will flourish or fail in your garden, and also one of the easiest to check. Planting by zone is a useful strategy to ensure that your garden plants will be compatible with your climate. The United States National Arboretum: This site gives a graphic depiction of planting zones for Canada, the United States, and Mexico. The map allows you to access a more detailed map of your particular region by clicking on the main map or on your state abbreviation. The USDA Plant Hardiness Zone Map is a graphical representation of the lowest temperatures, on average, reached annually for regions of the United States, Canada and Mexico. The continent is divided into 11 zones, each zone representing a temperature range of 10 degrees Fahrenheit. For example, zone 2 is assigned to regions that reach temperatures as low as -40 to -50 degrees Fahrenheit, zone 3 represents regions that dip down as low as -30 to -40 Fahrenheit, and so on. Zone 1 is the coldest zone and applies to all regions that reach temperatures below -50 degrees Fahrenheit. This zone is generally considered unsuitable for most agriculture. Zone 11, the warmest zone, refers to any region that seldom dips below 40 degrees Fahrenheit and is therefore considered to be frost-free. Each other zone from 2 to 10 is subdivided into five degree sections. For example, zone 2a reaches minimum temperatures of -45 to -50 degrees Fahrenheit, while zone 2b reaches temperatures as low as -40 to -45 degrees Fahrenheit. It can be useful to know the subzone value for your region when you are attempting to cultivate species that fall outside of your natural planting zone. If you are in zone 4b and have a favorable microclimate, you might be able to get away with planting a few zone 5 species if you take extra care to protect them on cooler days. Considering your available microclimate in addition to your planting zone can open up new gardening opportunities. Most plant species do well in growing conditions that are similar to their native habitat. By working to recreate those conditions in your garden, you can sometimes effectively work up or down from your planting zone and grow species you never thought possible. Location: Planting your warm-climate plants in a sunny, south-facing location against a fence or heated wall will counteract the effects of shorter days and cold north winds. Shelter: Taking the time to tuck your plants in with hot caps or simple plastic will protect them from dangers of frost. 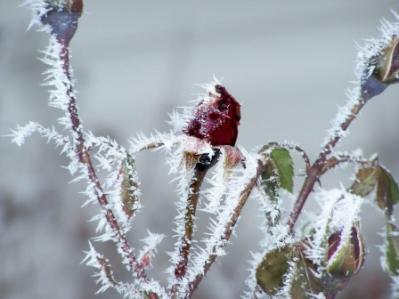 Keeping plants wrapped or covered during the winter will lessen the effects of cold winter temperatures. Mulch: A thick layer of dark-colored mulch keeps frost out of the ground and allows the soil to warm up earlier in the spring. Cool-season planting: If you are transplanting a cool climate species into a warm-climate garden, try to have it well established before the heat of the summer hits. Plant early in the spring, as soon as the ground is workable. Moisture: Keeping plants well watered is the primary concern in hot climates. Water regularly, and use a thick layer of light-colored mulch to keep moisture in the soil and to keep soil temperatures down. Shelter: While Northern gardeners must shelter plants from the cold and wind, you will need to keep your cooler weather plants out of the extreme sun and heat. Filtered light or a portable canopy can save your plants from sun damage. Innovations in garden design and cultivation practices have allowed gardeners more flexibility in planting choices than ever before. No matter where you live, knowing your zone and working with it is the first step to a spectacular garden.